But what exactly is brand identity? Brand identity is often confused with a company’s logo, but it goes beyond that. It is all about how your brand looks, feels, and communicates with consumers. It’s an important factor that can influence the overall experience of your customers and makes you more memorable. Here are a few tips that can help you build a strong brand identity. The first step to creating a strong brand identity is to determine where you currently stand in the marketplace. You should conduct a thorough brand audit to see how your business is performing in the eyes of your customers. Determine the current position of your business. Discover the strengths and weaknesses of your business. Identify the expectations of your customers and align your offerings accordingly. Figure out the sentiment (positive or negative) your brand is generating among customers. All of the above will help you develop strategies to improve your current brand value. Then you can figure out what’s lacking and work on it to establish a brand identity that people are likely to trust. But, how can you do a brand audit? Now that you have an overview of the current position of your brand, it is time to compare it with your business goals. This can help you discover ways to accomplish what you want to achieve. You should also take time to talk to your customers. You can run polls or conduct online surveys. It is important to do so as no one knows better about your product or services than your customers. They can be the best source of information to learn about the good and bad aspects of your products/services and your overall brand identity. While a brand audit can show you the real picture of your current position, it is useless if you don’t devise a strategy to overcome the highlighted issues. In order to establish a strong brand identity, you should address all of the issues identified during the brand audit process. Set a plan to resolve all issues and associate each of them with a reasonable timeline. It is important to understand your target audience to create a strong brand identity. For this, you should first build a customer persona. Based on this, you can create a target audience that fits the persona. When you define your target audience, you need to look at their age groups, locations, demographics, and interests. These factors will help you build the perfect customer persona. For example, if your brand sells maternity clothes, you need to specifically target mothers. For this, you need to consider factors like age group, demographics, locations, and general interests. Try to be as specific as possible to get the best results. If your brand sells maternity clothes, you need to target females from the age group 18-35 whose interests include pregnancy, kids’ clothes, and toys. Based on your target audience, you need to create your branding strategy. Use your uniqueness to tell customers why they should choose your brand over your competitors. Your USP could be anything. Maybe your products are all handmade, organic, or made from exotic raw materials. Whatever it is, make sure you highlight it well. You should incorporate your USP into your logo, tagline, and other branded content whenever possible. Davidoff’s branding strategy is a great example of this. It’s a Swiss premium brand that has been in the business of cigar-making for 50 years. While showcasing their brand on their social media profiles and website, they reiterate this fact. This sets them apart from others in the same industry. You already know the smallest details about your business. But if you want to effectively communicate them to others, you need to come up with a clear mission statement. Ideally, your mission statement should clearly define your goals and vision for your company. It’s something that will show the real purpose of your brand. If you want to make your mission statement effective, make sure you keep it simple. Avoid using flowery language or difficult words. A good mission statement should be easily memorable. So it’s best to keep it short and concise. IKEA’s mission statement is a good example of a well-written one. Their mission statement reads, “To create a better everyday life for the many people.” They’ve kept it plain so that even a ten-year-old can understand and repeat it. Just like people have different values and traits, brands too need to showcase what they stand for. The goal of creating a brand personality is to create a personal connection with your target audience. Logos, fonts, color schemes, and taglines are all a part of creating a brand personality. To create a strong brand identity, you need to see what resonates well with your target audience. For example, Emporio Armani is a brand that caters to those who love luxury and sophisticated goods. So Armani’s branding is designed to make the brand appear extravagant. Right from the monochromatic color scheme of their brand’s ads to their product name and design, you can tell that the brand is luxurious. Also, your brand needs to be consistent everywhere. If you’re using blue and white colors in your logo, make sure you use the same everywhere else. Keep that in mind when you design your packaging materials, website, and advertisements. Your brand’s personality needs to remain consistent across different platforms. Big brands like Coca-Cola, Nestle, McDonald’s, Starbucks, and others have all used consistent branding for years. They even have style guides to ensure that consistency is maintained everywhere. Not only does consistency help with brand awareness, but it also affects sales. It was found in a study by Lucidpress that consumers are more likely to buy from brands that maintain consistency. According to the study, consistent branding could increase revenue by 23%. Along with a personality, you should also work to create an authentic voice for your brand. Your brand’s voice will decide how you interact with your customers via branded content and on social media. It will be reflected in the way you reply to messages or write captions on Instagram and Facebook. Do you want your brand to be formal or casual? Do you want to appear sophisticated or funny? Answer these questions based on your target audience’s preferences. Use Facebook and Google Analytics to find out more about your audience on social media. For brands that cater to businessmen, for example, it is a good idea to stick to a formal and professional tone. But the same strategy likely will not work for a brand that caters mainly to millennials. For such a brand, it is better to capture their attention with a friendly tone. Memes, jokes, GIFs, and pop culture references are what resonates with them. So brands targeting millennials need to create their brand’s voice to suit the tastes of that age group. Just like brand’s personality, it is important to maintain consistency with your brand’s voice. If you’ve decided on a professional approach, do not use emojis in your posts. There is no set rule as to what is acceptable and what isn’t. You just need to stay true to your brand’s personality. Be clear what is in-sync with your brand’s voice. The use of slang, abbreviations, and humor are some of the things you should decide upon beforehand. Take, for example, the content that ThinkGeek posts. Their target audience is technophiles who also love nerdy things. So they post content that has tons of pop culture references. It works well for them, but may not necessarily connect well with an audience who cares more about sophistication. Maintaining a consistent voice for your brand will help you establish a solid brand identity. One way to connect with more like-minded people is to take a stand on social issues. Show that your brand truly cares about a cause that is directly related to your brand’s values. This branding strategy shows consumers that your brand cares about society. It shows that you are socially conscious and invested in a cause that you believe in. An Edelman study showed that 30% of consumers make purchase decisions based on a brand’s stance on issues. 57% of consumers even admitted they will either buy a product or boycott a product totally based on the brand’s stance. When your brand takes a stance, it will attract people who share similar values. And since you are committed to what they believe in, there is a better chance of them staying loyal to your brand. But when taking a stance, make sure your tone is sincere. Do not try to make fun of it or add humor that may come across as insensitive. That could give you negative publicity and damage your brand’s identity. Music Discovery platform, Shazam, used this strategy creatively to spread awareness about Alzheimer's. 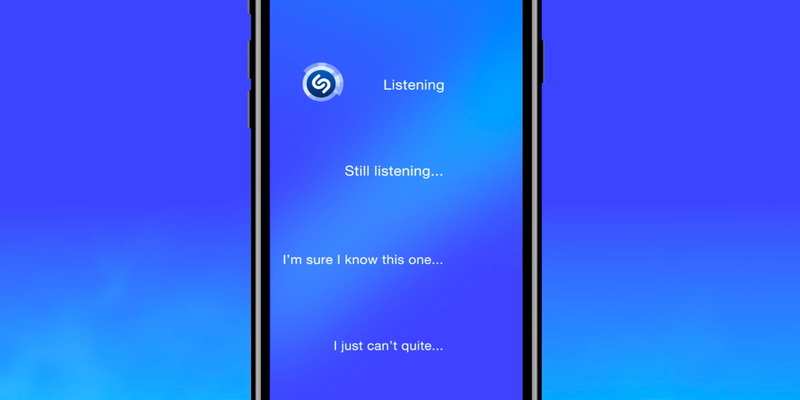 Users generally use Shazam to identify a song that’s playing near them. The app did identify the song after a few such messages, but it also showed a banner spreading awareness about the illness. It even redirected users to a donation page for research on Alzheimer’s. For all businesses, creating a strong brand identity is essential. It can help make people thinking about your product when they see a particular shape or hear a tune. It’s what makes your brand stand out from the rest of your competition. When you’re creating a brand identity, you need to pay attention to the details. Follow the strategies mentioned above to create a strong brand identity that will make your brand memorable.